sometimes it is good to watch. sometimes there is more to see. this is a seedling that i am still watching. watching for several reasons. one reason, it is a first year bloom and that is reason on its own. 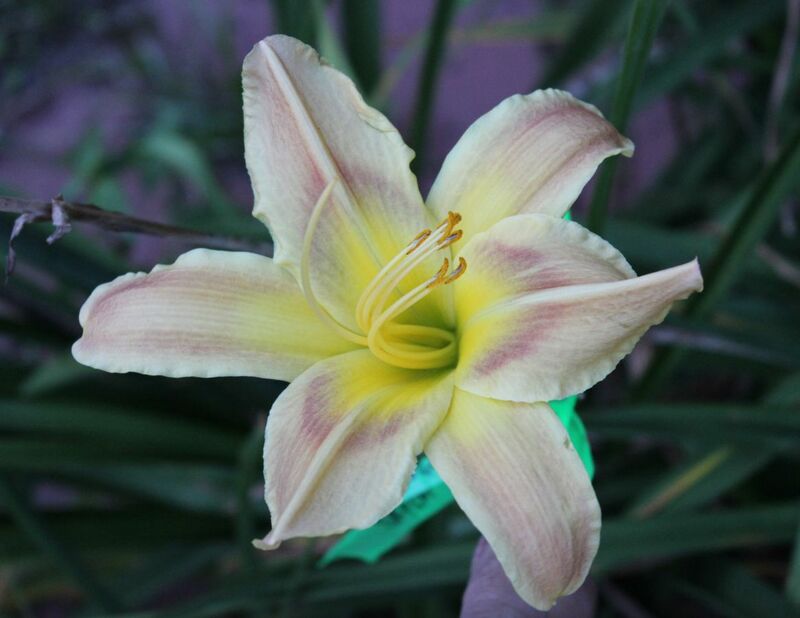 another reason this bloom started with a somewhat unusual color, mostly a creamy white with a reddish eye. and another reason is to understand it in terms of its parents. tonight we will turn it around and start with the seedling. 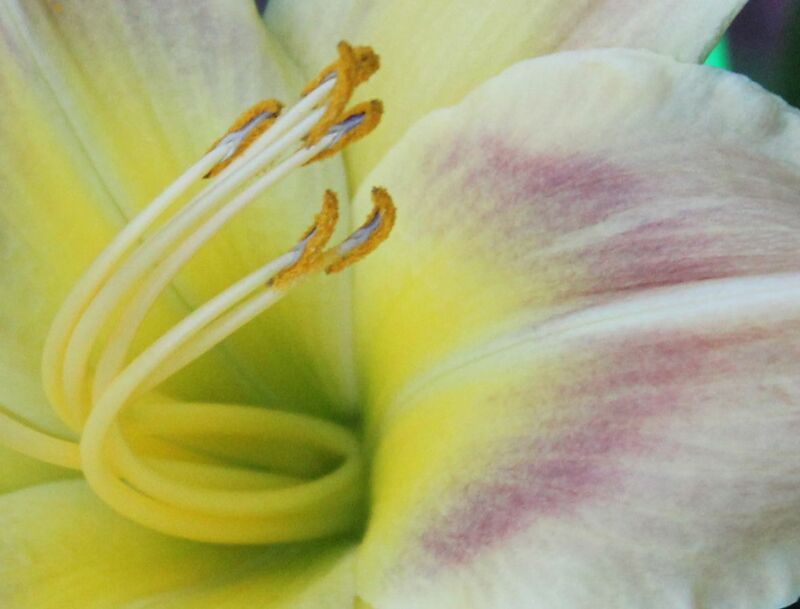 the flower first, and then a close up view of its petal. and lastly we will look at the parents. the colors of this one are speckled. it gives the flower a blush. towards the end of its bloom the colors took on a darker hue. yet it did not quite loose the speckles. so the watching to see what the colors will do next year is in order. the parents of this seedling are Critics Choice a tall pink 6 inch flower and Apotosaurus an even taller plant at 48 inches with a 6 inch flower. Apotosaurus can be brownish or a murky red. So perhaps that is where the seedling picks up its coloration. next summer more will be revealed. You are very welcome. And thank you ! Breathless beauty in these flowers. Thank you for sharing them online.